RERA came into force on 1st May in 2017 giving powers to each and every state to make their own rules in accordance with the Central Act. 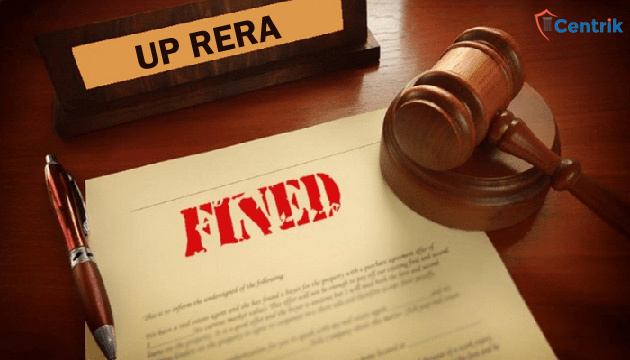 UP RERA recently took a massive step by issuing recovery notice against 5 builders who failed to abide by the orders made by the Authority. Letters have been sent to concerned district magistrate to deposit the amount in UP RERA account. Land revenue can be recovered by various ways but the most prominent is that to recover such land revenue, a committee is appointed by State Government for the collection of land revenue under section 275, 277 & 278 of the U.P. Land Revenue Act. The committee appointed has the duty of collecting and realizing the land revenue and dues on behalf of the government in accordance with the procedure laid down in the Act. Further, the dues collected is to be submitted to the State Government and in case of default, the same would be realized as arrears of land revenue from him or his property. There are various manners to recover arrear of land revenue such as by serving a writ of demand, by arresting or detention, by attachment of the person’s movable property or attaching and selling the immovable property, holding in respect of which the arrears is due can also be attached along with the leasing or selling off such holding. Apart from above mentioned manners, a receiver of the movable or the immovable property can be appointed. With respect to the first mode mentioned above, the moment arrears of land revenue become due, a writ of demand on the defaulter is issued by the tahsildar to appear and pay the pending amount within a specified period of time. Except woman and minor, any person who has defaulted in payment of an arrear of land revenue can be arrested and be detained for a period of 15 days if the arrears are sooner paid. Any person who is not a bhumidar or has a joint liability for the payment of land revenue of the concerned holding will not be arrested or detained. The collector appointed by the State government can attach and sell the movable property of the defaulter whether or not he is arrested. Such attachment has to be in accordance of the law laid down. The holding attached by the collector can be set to let out such holding to any person other than the defaulter for a period not exceeding 10 years which would commence on the 1st day of July. Such holding is to be handed over to a person who pays the arrears due as well as agrees to pay the land revenue amount during the period of lease which would be similar to the amount which was to be paid by the defaulter immediately preceding the attachment of the holding. If the lessee defaulted to pay in the period of his lease, the manners laid down in section 279 will be applicable to recover the defaulted amount. If in case the holding is not let out to any person, the same will be sold off free from all encumbrances in the manner prescribed. The excess from such sale will be refunded to the defaulter. If the processes mentioned above becomes unsuccessful to recover the land revenue arrears, the collector may realize the amount by attaching and selling off the interest of the defaulter in any of his immovable property. To recover the dues of the defaulter, the collector may appoint a receiver of any movable or immovable property or can either remove any person from possession or custody of the property or commit the same to possession, custody or management of the receiver. The receiver so appointed in entrusted with all the powers as to bring and defend the suits as well as for the realization, management, protection, preservation and improvement of property. In addition to this, the collector also has the power to collect rents and profits. Various other powers of the collector are entrusted under Section 286A of the Act. The person against whom the proceedings are initiated under Section 287A of the Act i.e. payment under protest and filing a suit for challenging property, can pay the amount claimed to the officer taking such proceedings. After the payment of such amount the proceedings with be stayed and the person against whom such proceedings were taken can sue the State Government for the amount so paid and should provide the evidence regarding the same. Apart from all this, State government can make rules which may provide for reimbursement procedure of the excess amount paid by a bhumidar under Section 244. The state government can also make rules with respect to Section 247A, 265, 275, 276, 279, 279(1), 283. This again give a new hope to the aggrieved who were waiting to get their dream home but even after getting the remedy from the RERA Authority they were suffering for it now the authority has taken a step ahead and made it a very evident that no leniency will be shown to the default builders. Disclaimer – Please note that the above article is for education purpose only. This is based on our interpretation of laws which may differ person to person. Readers are expected to verify the facts and laws.